"There is a mad scramble here at The Denver Post when the newest Elizabeth George mystery comes in. We fight over it' outright thefts off people's desks are not unknown; we fall on our knees and beg to borrow it. Her latest…is a winner, especially if you're a fan of Sgt. 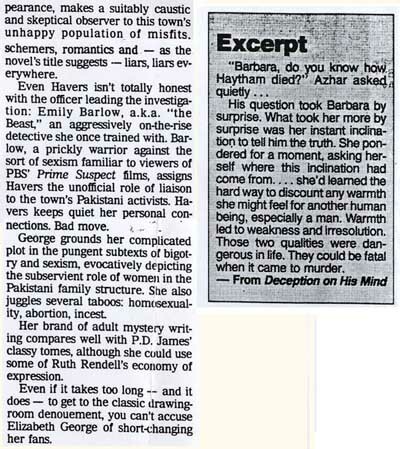 Barbara Havers, who comes into her own." "Compelling and complex…All sorts of secrets and surprises figure into the well-wrought narrative, but what one remembers of a George book are not the mysteries of plot but those of character." 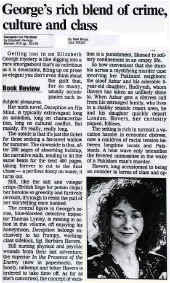 "George's story is compelling and complicated, on that avoids facile moralizing on a subject of real human importance." "Recommended reading for…those mystery readers who look for moral dilemmas and psychological issues as well as murder mystery for their entertainment." 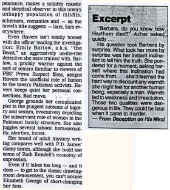 "George's novels are complex, stylishly written and delve deeply into the human psyche…Wonderful reading." 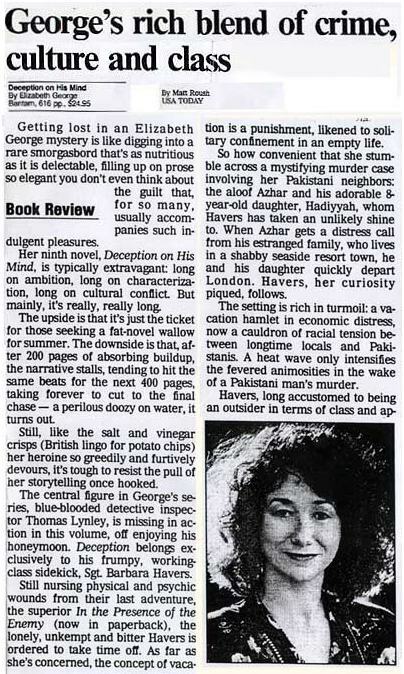 "This rich, engrossing novel portrays a contemporary England that's culturally complex and simmering with tension…George keeps an unrelenting grip on her readers." "George doesn't' disappoint…Don't think you'll easily flush out the villain here…George manipulates the giant cast and manifold subplots with her usual aplomb…[An] intelligent, finely nuanced performance." 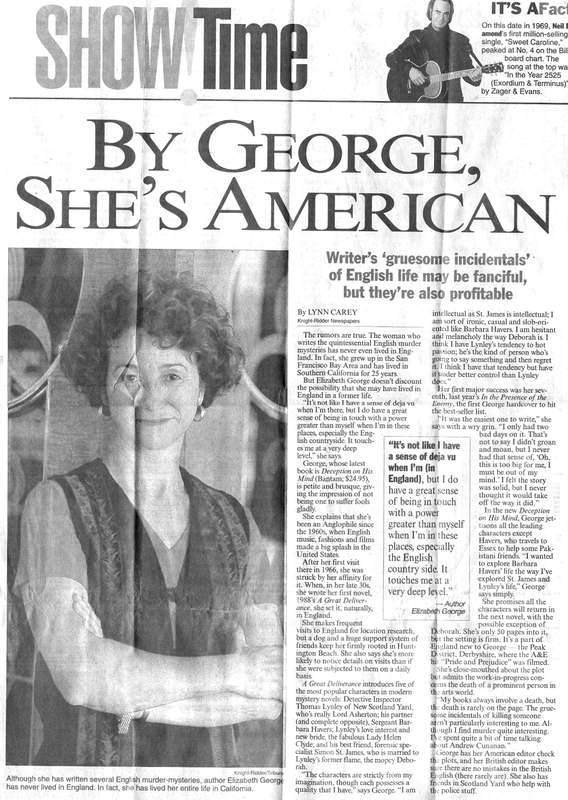 "Elizabeth George is one of the best writers of British mysteries on the current book scene, even though she's an American.  Her absolute mastery of the genre is evident."